Based in Asheville, North Carolina, Old World Market Place was founded with the basic premise of taking reclaimed wood and turning it into something unique and lovely for your home. 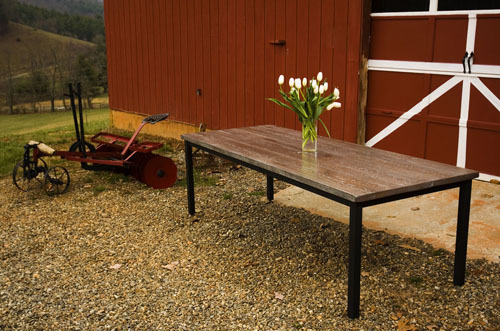 In business since 2007, Darren Green and his team of skilled woodworkers craft tables, chairs and unique accessories made from wood found in Tennessee and North Carolina. Each piece is one of a kind, full of Southern character. 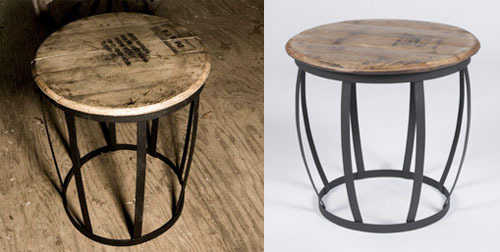 As Bourbon is America's only native spirit, I love to see the older barrels they repurposed into home furniture. 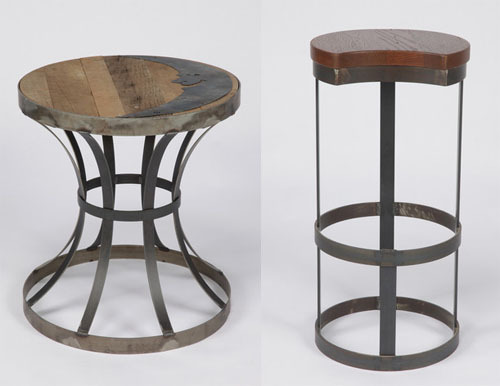 The side tables and stools seen here are handcrafted from the old Kentucky bourbon barrels and are truly Southern originals. This is the Moon Pie collection, with both pieces made of reclaimed Appalachian Oak. Now I think many a people will like this last creation, called the Tequila Buffet. Artisan Robert Lock created this piece which is "handcrafted from beams of wormy chestnut salvaged from dismantled barns and homes of the Southern Aappalachians."